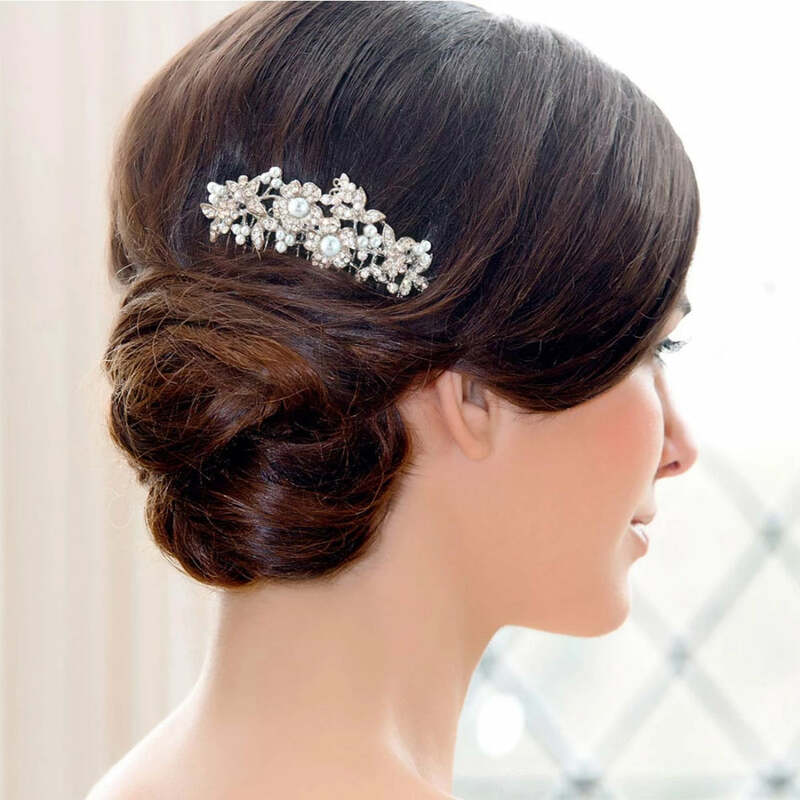 So romantic and enchanting, this 1950s style hair comb features a sparkling bouquet. 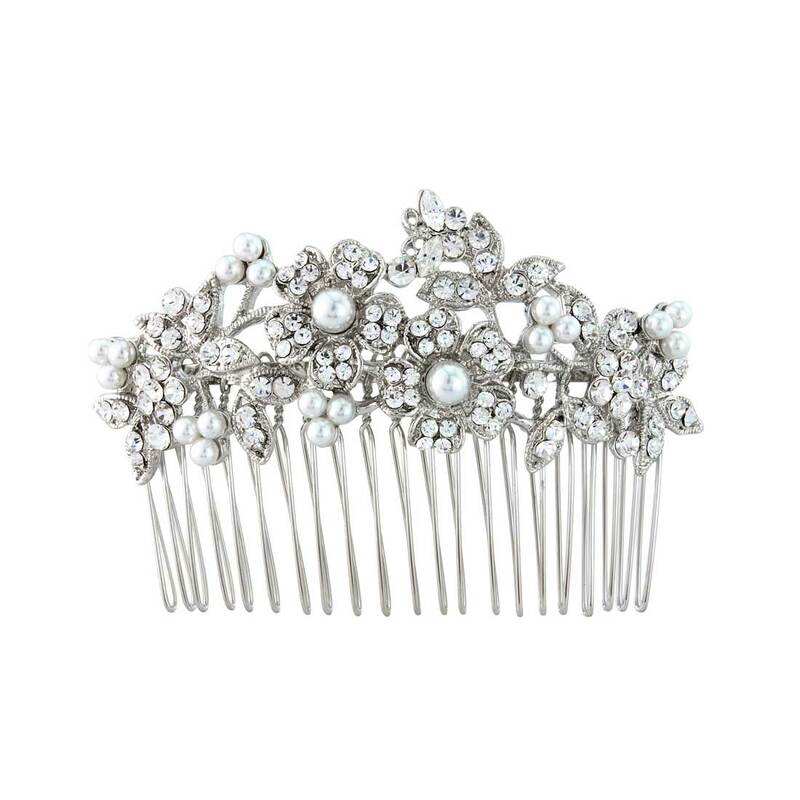 Simply enchanting, our Bouquet of Pearl Hair Comb is classic and beautiful. Featuring a magical mix of flowers, stems and leaves encrusted with sparkling clear Austrian crystals and light ivory faux pearls, this pretty headpiece takes its inspiration from the timeless style of the 1950s. Bejewel a romantic side chignon, add feminine style to a chic French pleat or adorn a half-up 'do, Bouqet of Pearl is a versatile size and perfect to make a statement without being too bold. Team with a pair of pearl and crystal earrings and a simple pearl bracelet for true 1950s style.